Track record-setting Grade 1 winner Twirling Candy is following in his father’s legendary hoofsteps at Lane’s End Farm. 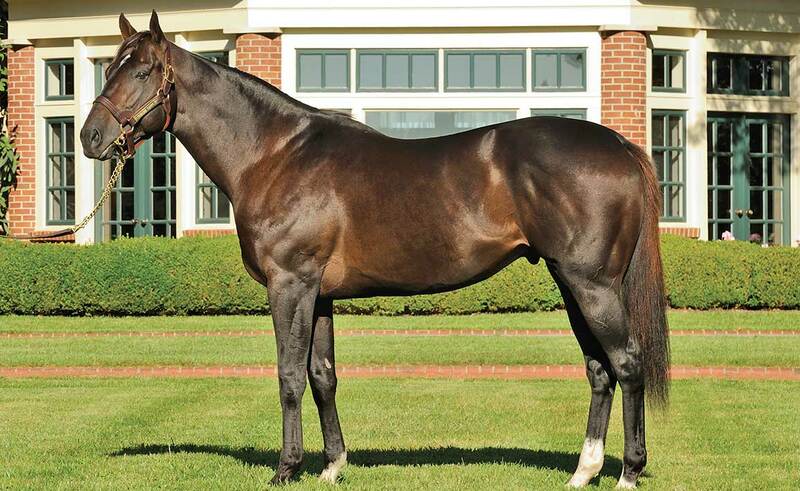 A son of Candy Ride (Arg), Twirling Candy was the second-highest fourth-crop sire by earnings last season. 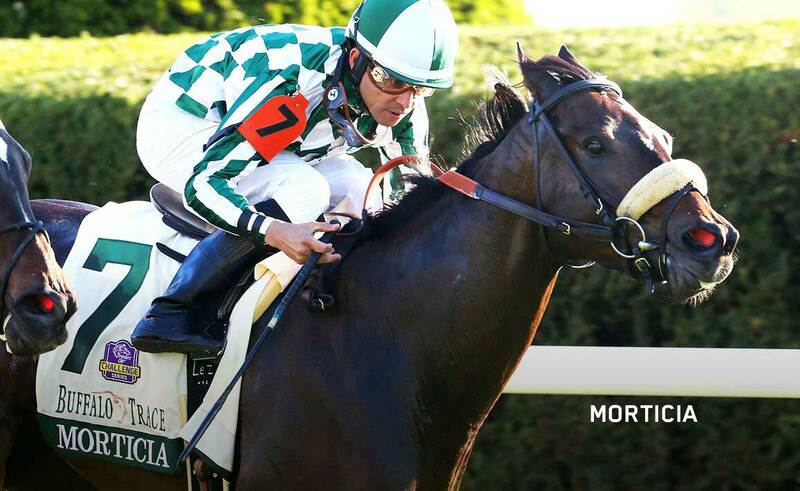 He’s sired 15 black-type winners and graded winners on both turf and dirt, including G1 winners Finley’sluckycharm and Gift Box, Danzing Candy (G2) and Morticia (G3). His 2018 yearlings sold up to $260,000, and he’s seen two-year-old sales of up to $850,000. 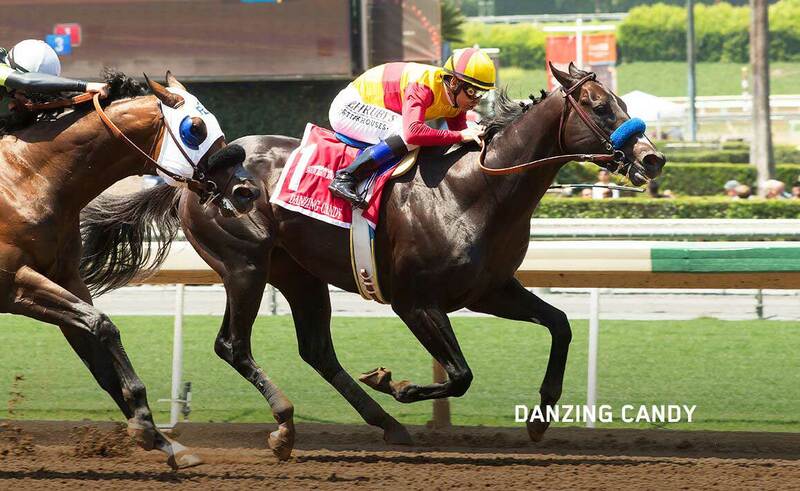 Twirling Candy is out of the Chester House mare House of Danzig, making him a half-sibling to G2 winner Ethnic Dance. Multiple Champion Affirmed can be found farther down his page. Candy Ride has already shown a remarkable affinity for the Storm Cat branch of the Northern Dancer line. 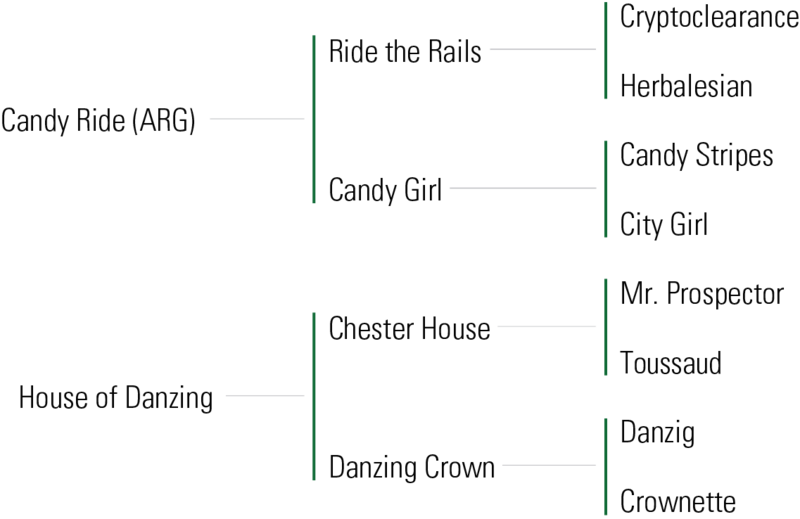 Other branches of the Northern Dancer line to provide the dams of Candy Ride stakes winners are Sadler’s Wells (sire of El Prado; grandsire of Medaglia d’Oro and Kitten’s Joy), Nureyev (from a mare by Theatrical), Danzig and Dixieland Band. Candy Ride has found success with a wide variety of mares by stallions that descend from the Nasrullah line, with three stakes winners from mares by In Excess, as well as stakes winners out of mares by In Excess’s son, Indian Charlie, and Cozzene. Candy Ride is out of a Mr. Prospector-line mare, and Twirling Candy should cross well over mares from that line. WON a maiden special weight race at Hollywood Park (7 fur., in 1:22.12, defeating Nextdoorneighbor, Brace Yourselves, Boulder Creek, etc.). 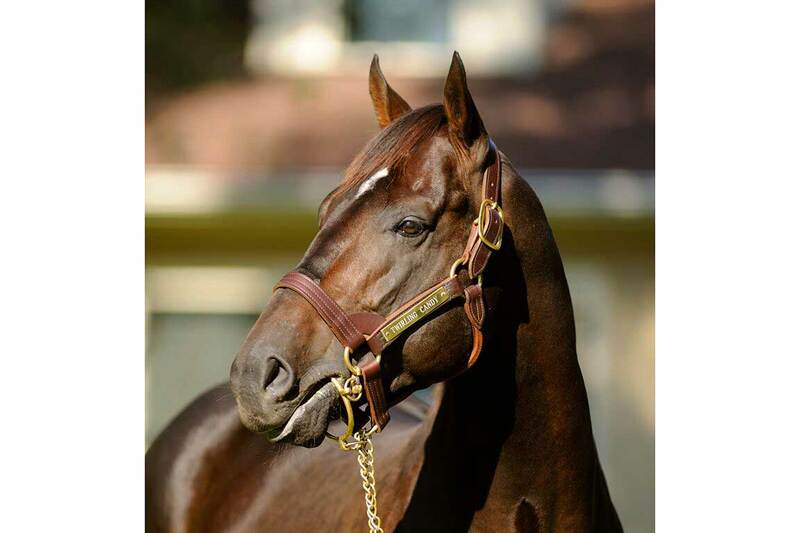 WON Malibu S. [G1] at Santa Anita (7 fur., in 1:19.70, NTR, defeating Smiling Tiger, Caracortado, Alcindor, etc. ), Del Mar Derby [G2] at Del Mar (1 1/8 mi., turf, in 1:46.96, by 3 1/4 lengths, defeating Jairzihno, Royal F J, Fantastic Pick, etc. ), Oceanside S. at Del Mar (1 mi., turf, in 1:34.69, by 2 1/4 lengths, defeating Macias, Gallant Gent, Just Magic, etc. ), a race at Hollywood Park (6 1/2 fur., in 1:15.08, by 7 3/4 lengths, defeating Thomas Baines, Just Magic, Pinal, etc.). WON Strub S. [G2] at Santa Anita (1⅛ mi., in 1:46. 53, by 4 1/2 lengths, defeating Tweebster, Make Music for Me, Indian Firewater, etc. 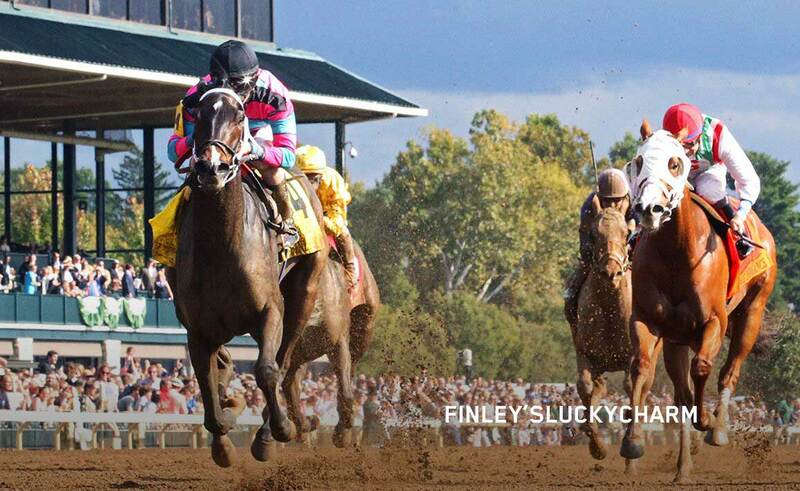 ), Californian S. [G2] at Hollywood Park (1 1/8 mi., in 1:50, defeating Setsuko, Aggie Engineer, Soul Candy, etc. 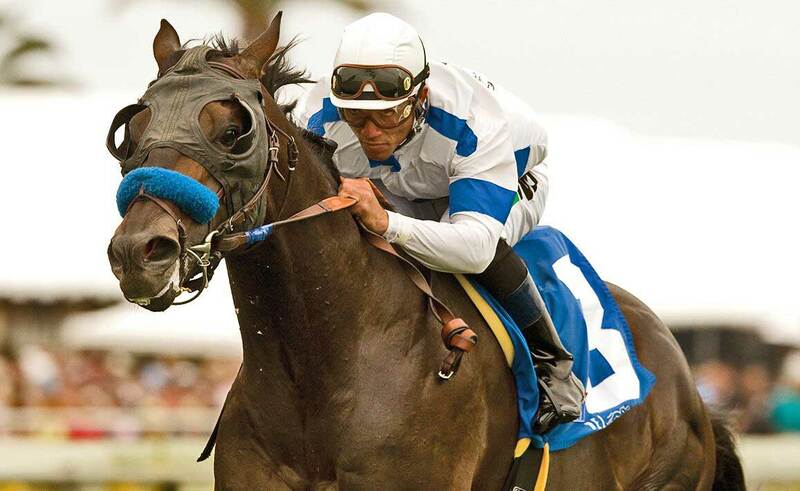 ), 2nd TVG Pacific Classic S. [G1] at Del Mar (1 1/4 mi., turf, to Acclamation, defeating Stately Victor, Game On Dude, etc. ), 3rd Hollywood Gold Cup H. [G1] at Hollywood Park (1 1/4 mi., to First Dude, Game On Dude, defeating Setsuko, Awesome Gem, etc. ).